Stewardship of War Bluff Valley Sanctuary rests with the Shawnee Chapter. The second Saturday of every month is War Bluff Stewardship Day where you get a chance to volunteer your time and talents while spending a day in the wild working and socializing with others who value nature as much as you do. Stewardship projects in April will include garlic mustard removal by hand, checking bluebird nest boxes, and trail grooming. It’s always a good idea to email or call Terri at 618-683-2222 before coming out to make sure there has not been a cancellation due to weather or for other pertinent information. 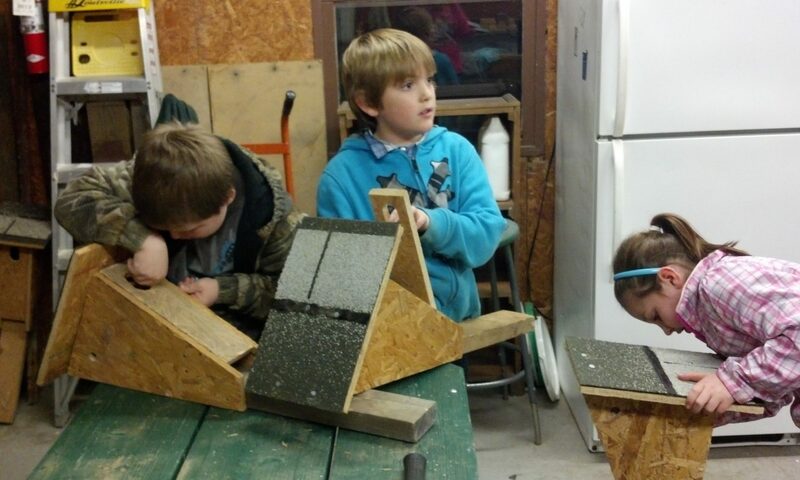 Stewarship Day at War Bluff Valley Sanctuary is the 2nd Saturday of each month. Stewardship Day is a great way to see the Sanctuary, meet new friends, get some exercise, and enjoy the great outdoors. 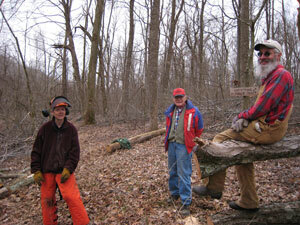 Meet at the Sanctuary around 10 a.m. Bring work gloves and a sack lunch. Water, coffee, soft drinks and snacks are provided. Occasionally, Stewardship Day is cancelled due to weather or other circumstances — it’s always a good idea to call in advance for information about the upcoming Stewardship Day–contact War Bluff Valley Sanctuary at 618-683-2222 or email. Directions to War Bluff Valley Sanctuary: Follow Rte 146 north out of Golconda for 3.5 miles to Bushwhack Road; turn left; follow Bushwhack for 2.2 miles to Sanctuary entrance on right; follow driveway past caretaker’s house all the way back to Kestrel Hall located in the metal pole barn.